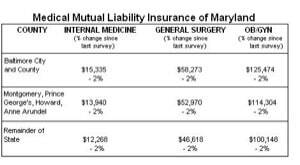 Medical Mutual Liability Insurance Society of Maryland is a doctor/policyholder owned medical malpractice insurer. Established in 1975 by the Maryland State Assembly and based in Hunt Valley, it is the largest provider of medical malpractice insurance for Maryland physicians. Med Mutual and MCIC write about 60 percent of all medical negligence insurance premiums in our state. After Medical Mutual's request for a steep rate increase in 2003, the Maryland legislature responded by providing unprecedented reductions in the cap on pain and suffering damages in medical malpractice cases. These caps were justified because Medical Mutual was ostensibly in grave danger. Back in 2004, doctors’ fervor for caps in medical malpractice cases reached a new high. To fan the flames, Medical Mutual (easily the largest medical malpractice insurer in Maryland, covering about 75% of Maryland doctors) engaged in what many malpractice lawyers believe was creative accounting and timely settlement negotiations that allowed Medical Mutual to pay out more during the time frame being examined by the Maryland legislature. Yet the very next year, Medical Mutual declared a 14% dividend for the 2004 policy year. So the crisis was actually no crisis at all. But Med Mutual and its friends won. Because the law is still unchanged even though the underpinning for reducing the cap in medical malpractice cases has been discredited. According to its financial reports, Med Mutual is doing quite well and paying back doctors a significant portion of the malpractice premiums they pay. More signs of good times for Medical Mutual: it has proposed a rate increase for 2012. So much for the big malpractice lawsuit crisis. Most of these insurance policies have no deductable for the doctor although Maryland law requires that physicians be offered policies with deductibles of $25,000, $50,000 and $100,000. There are few takers. How much does Med Mutual insurance premiums cost? It varies by size of the policy, specialty, and practice location. This is actually largely true. 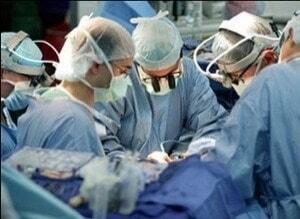 Medical Mutual does not focus on the cost of defending a malpractice lawsuit. But while it does refuse settlement in some cases and, as a result, gets hit with large verdicts, Med Mutual is also often willing to settle medical malpractice lawsuits that really should be settled. Will Med Mutual settle a case with a lawsuit and protracted litigation? Are they quick to accept responsibility when their doctor has made a mistake? The answers are no and no. If you live in the Baltimore Washington area and believe you have been a victim of medical negligence in Maryland, call 800-553-8082 or get a free online medical malpractice consultation.